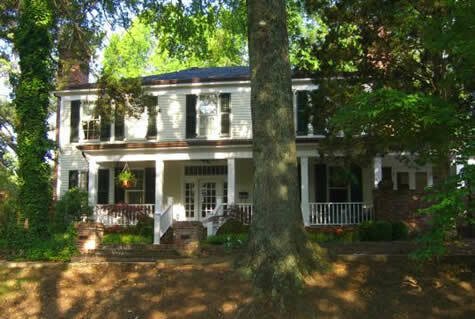 Built in 1858 by James E. Eades, who sold it to Dr. John Thompson. For many years, it was home to Dr. & Mrs. B.S. Guyton. 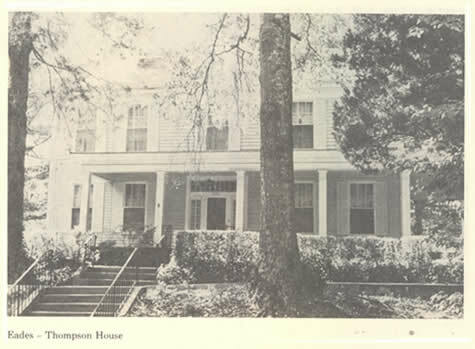 When Dr. Guyton purchased the home, he modernized it by removing six two-story square columns on the front and adding a wide veranda. Where can you find the Heritage of Lafayette County reference book? I found a copy at the Ole Miss Library.. I am the widow of William Louis Guyton, grandson of Dr. Billy Sylvester Guyton. My late husband was born in Oxford. His father, William F. Guyton, age 94, resides in Austin, Texas, as do I. My son, William D. Guyton prompted my search for the home in Oxford, and I’m stunned that I actually, at 73, remembered the complete street address. I googled and somehow google maps had 1106 as a brick one story and 1146 as more what I remembered. My brothere in law, Harry F. Guyton, from Houston, Texas, found this site and we are indebted to you for it and the wonderful photographs!